Founded in 1920, in Seattle, Washington, Eddie Bauer was the first brand to patent the quilted jacket. Its founder, Eddie Bauer, also patented a number of other designs throughout the year, and later became the first independent company that the U.S Army hired for their uniforms. The company was later bought by General Mills and then went on to be purchased by Golden Gate Capital after years of cycling through success and bankruptcy. However, the brand slowly rose back to its former glory and is now a favorite among many adventurers who look for technical apparel that come at an affordable price. Their product range is full of options that include designs from light tops to high-performance jackets, covering a multitude of needs and requirements for outdoor activities. The brand currently holds around 370 retail stores across the North American continent and is also available online. When focusing more on the materials that Eddie Bauer use, much like other similar brands, they use Polyester and Nylon, as well as natural fabrics and materials, such as Cotton and Wool. 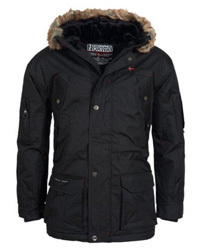 Down insulation is also used in their winter wear and other products that are meant to retain warmth. However, they don’t solely rely on natural down for insulation, but have also incorporated the Thermafill® polyester insulation, as well as StormDown, which is DWR-treated down that performs much more reliably in wet conditions. Down is notorious for losing its ability to insulate when wet, as it loses all of its loft, thus rendering it unable to trap heat between the clusters. StormDown tends to minimize this issue by helping down to repel water rather than becoming wet too quickly. An innovation fabric that Eddie Bauer use is the Thindown fabric, which was created in Italy and it is a one-of-a-kind down fabric that insulates just like down clusters, packs and re-lofts just as well, while avoiding some of down’s common issues, such as that of wetting out too soon and also shedding. They have also partnered with eVent, and have made this fabric technology part of their products. eVent is a fabric that we have previously compared to Gore-Tex here and we’d recommend you take a look at it to learn more about how it works and how it measures up to Gore-Tex. WeatherEdge® is a fabric technology developed by the brand, which is waterproof and breathable, made of polyester. The short video below explains it better. In regards to manufacture, the brand owns several manufacturing facilities which operate by ensuring that the working conditions, hours, wages and worker-safety are all in the best interest of the employees. Since we haven’t really looked at Eddie Bauer products in the past, today we have picked two of the brand’s most popular designs, which come in options for both men and women. 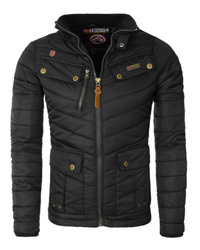 The first design is the CirrusLite down jacket, a quilted design with a hoodless collar and elasticized sleeve cuffs. It comes with two hand-warmer pockets on the outside and it is made of a Nylon shell and insulated with 650 Premium Down insulation. 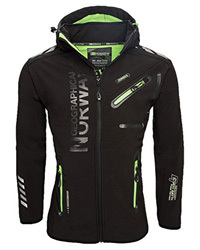 This is a water-resistant jacket, coated with StormRepel DWR coating and suitable for below 0 temperatures. The second design is the Rainfoil packable jacket, a lightweight and waterproof jacket, which packs into its own pocket for easy traveling. It is made of Polyester and utilizes the WeatherEdge technology, which gives its waterproof ability and considerable breathability. 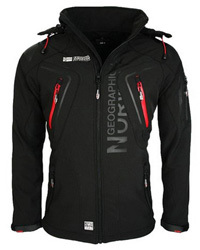 It has an adjustable hood, which stows under the collar and it is treated with StormRepel DWR coating. Overall, Eddie Bauer provides a good range of prices, the majority of which are quite affordable. 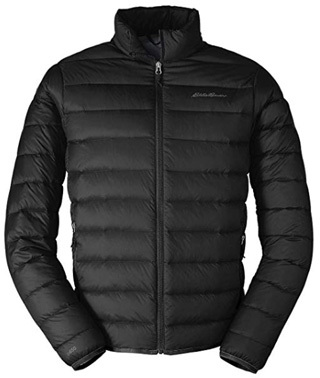 Their more technical pieces and those insulated with down are a bit pricier, but not too high. They average at around $100-$250, but there are continuous sales on the brand’s website and stores, making it possible to purchase them at a much more affordable price. Considering that they perform like advertised and are fairly well-made, with some online reviewers mentioning products that have lasted for many years, and also considering that the prices are quite buyer-friendly, our verdict is that they are worth their price. Patagonia was established in California, in 1973, and ever since it came to be, after the splitting of the Chouinard Equipment company, it has always been an apparel brand. The brand’s products are raved about online as being really high quality and high-performing, making them a very popular choice among those who look for technical clothes for outdoor activities. Something that bears mentioning, which also plays an important role in the public’ perception of the brand, is their efforts of reducing the environmental impact of the manufacturing of their products. Everything is ethically sourced and through means that strive to affect the environment as little as possible. Patagonia sources most of its materials through recycling, especially the synthetics, namely the polyester they use in their products, and the animal-based and natural raw materials are all sourced ethically and per the required standards. The brand makes use of Gore-Tex in many of the technical jackets and other clothes, but they have also developed their very own technology, the H2No, which we have also compared to Gore-Tex. H2No is a waterproof and breathable technology that goes through an intense testing process, the 24 Killer Wash testing process that guarantees the quality of performance for the fabrics that make it through successfully. In their efforts to reduce the harm done to the environment, Patagonia use less harsh DWR treatments and chemicals. The Deluge® DWR coating is a safer and longer-lasting coating, that requires less re-applications. The manufacturing process, apart from the 24 Killer Wash testing, also includes other careful steps that ensure the quality of the final product. For this reason, Patagonia is renowned for its long-lasting and great quality products. The first design we have picked, which comes in options for both men and women, is the Down Sweater, a quilted jacket that is hoodless and made of Recycled Polyester. This is a down jacket, insulated with 800-fill European goose down and it also comes with elasticized sleeve cuffs and two outer pockets. 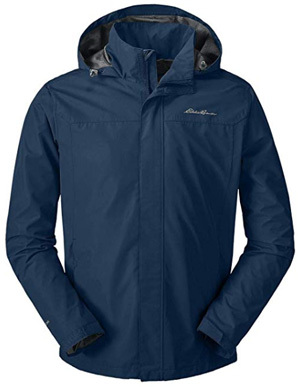 The second design is also available for men and women, and it is the Torrentshell jacket, a very popular design by Patagonia. This is a waterproof and breathable jacket, made of 2.5L H2No fabric and it comes with an adjustable hood and adjustable sleeve cuffs. There are two outer pockets on this design and its hood is designed to provide great protection against the rain, not solely for the head, but also for the face, due to its laminated visor. 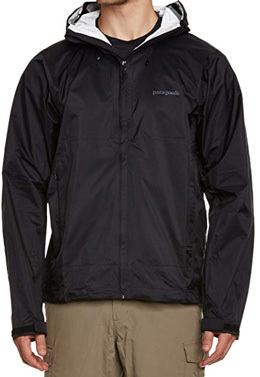 Related: Patagonia Torrentshell vs Marmot PreCip – Which One is Better? In regards to price, Patagonia is not the most affordable brand, but their product range also comes with a wide variety of prices. The short answer is Yes. They are very well made and perform flawlessly, which more than justifies their price tag. You can find out more in this article where we explore the reasons why Patagonia products are expensive. These are both really good brands, but there are some differences between the two. Eddie Bauer is overall more affordable and its product range is comprised of numerous options, guaranteeing that you will find something that best suits your requirements and needs. Their designs perform as advertised and overall, the majority of them are long-lasting. 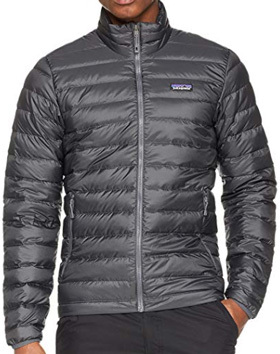 On the other hand, Patagonia also provides a good range of products, but it is the most expensive of the two. Their products are really well-made and they perform beautifully. A good thing that both brands have in common is their great Warranty, which covers many issues that might arise and also offer repairs. But, there is a difference to be mentioned, as Eddie Bauer’s Warranty is like no other brand out there. They offer a lifetime guarantee, no questions asked. A quick search online reveals many reports by those who were beyond impressed with the brand’s warranty, as they will offer repairs, refunds or replacements even for products that have been bought many years prior. All in all, which one would be the better choice for you depends on what type of product you are looking for and how much you are willing to spend. 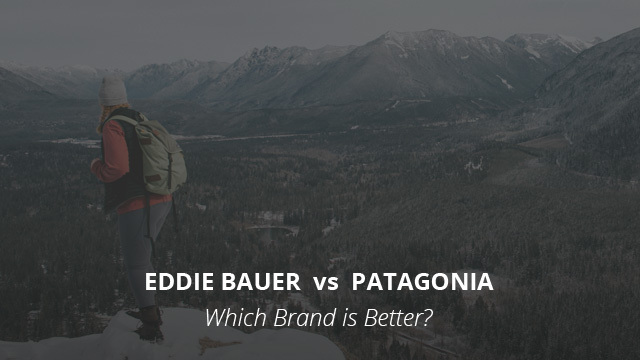 If it’s affordability and adequate quality, then Eddie Bauer is worth a shot. However, if you are looking for products that are guaranteed to last and you can afford the price, then Patagonia would be the better choice, in our opinion. Previous Article← Arc’teryx vs Canada Goose: Which Brand is Better?